Thanks to the Team-BHP fan (he prefers to remain anonymous) who sent this information in. Heartfelt gratitude for sharing it with other enthusiasts via this page! 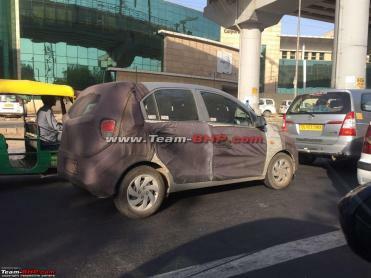 We have been told that Hyundai is targeting monthly sales of 10,000 units for the new Santro (AH2). The Santro is expected to provide a significant boost to the total sales, which are already at an all-time high. The carmaker registered a growth of 5.2% in FY2018 with a record domestic sales of 5,36,241 units. In August 2018, Hyundai's cumulative sales grew by 3.4% compared to the same period last year. Hyundai will reportedly launch the new Santro on October 23, 2018. Meanwhile, training sessions for Area Sales Managers are already underway. Hyundai's new small car is expected to replace the Eon. Like the Santro, the new model is likely to feature a tall-boy design. Reports suggest that it could be offered with a 1.0-litre, 3-cylinder petrol engine, while transmission options might include a manual and an automated manual transmission (AMT).